Nice to meet you, we are Sigasi! Founded in 2008, privately funded, innovative, entrepreneurial, creative and fun … . What should we add to this? It is our mission to provide a powerful IDE to hardware designers: Sigasi Studio. Our editor is a low-cost efficiency tool for HDL designers and teams working in either VHDL or SystemVerilog. Every technical challenge inspires us to develop innovative or much-needed features. We love to interact with our clients and discover their practical issues and challenges in their day-to-day field of expertise. In the end, Sigasi wants to help every HDL designer develop better code. Sigasi Studio is used by industry leaders in medical, telecom, automotive, defense and aerospace. Welcome, and make yourself right at home! Hilde is an artist with a talent for painting and photography. And every accomplished artist knows it is not easy to sell art. This is how Hilde has developed her talent for sales and marketing in several IT start-up companies in Belgium. She loves talking to people and helping Sigasi’s prospects and customers find the right solution for their engineering team. Hilde loves creativity, life, challenges, colours, art … and happy customers. As a kid Bart wanted to know how televisions work. His parents gladly directed him towards electronics engineering to save their household appliances. He started working for Easics in ASIC design and moved from Leuven to Ghent as both FPGA Engineer and FAE. Bart was himself a longtime user of Sigasi Studio before he joined the team. When he’s not talking to Sigasi’s clients, Bart loves to sing in a choir, take long mountain hikes with his family or engage himself in local social activities in his neighbourhood. Multi-lingual, multi-cultural, multi-faceted and multi, multi more … Modesto has plenty of everything, most of all fun in building successful partnerships on different continents. He developed business for In Region, Tanner EDA, Aldec, Synopsys, Silvaco and is no stranger to the world of Electronic Design Automation (EDA). Modesto focuses on business solutions for our key account clients in all industries: healthcare, defense, automotive, aviation, etc. He currently travels between New York and San José, but prefers to call the world his home. At a very young age Hendrik was passionate about computers. When he was not breaking or fixing them, he was playing with his Legos or outside in the mud. He started his engineering studies in 1996 at Ghent University and got his master degree in Computer Science. He performed research on artificial intelligence and on design methodology and received his PhD in Computer Science Engineering in 2008. In his downtime Hendrik enjoys Belgian beers and the outdoors: cycling, running or working on his boulder climbing skills. Lieven has built much of the internals of Sigasi Studio. He is an expert on Xtext, the framework on which the Sigasi Studio compiler is built. Lieven is a regular speaker at international conferences about Eclipse and Xtext, for which he contributed both wild and crazy ideas and down-to-earth code patches. He also serves on the IEEE VHDL standardization committee, where he is continuously working on defining the next version of the VHDL language. PET-scanning, data race detection, digital design, distributed backup, IDE design, cloud-scale storage, big data processing … a lifetime of varied and deeply-technical projects give Mark a unique insight in the technological landscape. At Sigasi, Mark transitioned the first generation of our technology to the Xtext framework. Sigasi’s unconventional, technical, friendly atmosphere must be very addictive … since recently Mark rejoined the company to help it grow to the next level. How come pixels move on the screen when I move my mouse? How do games work? Those were questions that sparked Titouan’s interest in computers at a young age. This naturally led him to studies in Computer Science engineering, specializing in compilers and language design. This passion made him the fan of open-source and linux he is today. But all work and no play is not how we roll: Titouan enjoys baking (and eating or sharing) cakes, playing badminton and climbing boulders with Lieven or Hendrik. We want our customers to feel part of the family. And family starts with students in the case of Sigasi. Hilde handles all educational requests for students, classrooms and professors. And there are plenty. But her experience of over 20 years in handling a private family office makes Hilde the perfect professional to handle Sigasi’s administration, payroll, travel and accounting. Hilde enjoys all fun things in life: pure cooking, spinning, fashion, family and friends. Playing music at age 11 and performing at age 15, life is best for Bob when it is in flow. He loves orchestral scores and financial statements, strategy meetings and one-on-one coaching. Sigasi is a creative company and that’s what Bob likes best about it. Managing several companies the last 12 years, mostly in ICT, Media and Marketing, Bob continues to love working with dedicated teams and clients. Bob has a passion for meditation and bodywork. If you provide the piano, he will gladly entertain you. Creatively he keeps on composing and producing music in his studio. Fond of technology since childhood, Philippe was tinkering with his Commodore 64 computer, with Lego robots and —at age 17— getting his HAM radio license. He spent the following year studying in Portland, Oregon. Back in Belgium, he graduated as a Computer Science Engineer at Ghent University, where he conducted his doctoral research at the Department of Electronics and Information Systems. Philippe holds a black belt in aikidō and enjoys teaching programming skills to grade schoolers. Jan Decaluwe is an electronic engineering professional and entrepreneur. He pioneered VHDL-based hardware design in 1991, co-founding Easics, a competence center in digital hardware design to this day. As the creator of MyHDL, that turns Python into a hardware description and verification language, Jan provided hardware engineers with unprecedented power. For Jan, Sigasi Studio is the way forward for HDL-based design. Jan Zegers is an electronic engineering professional and entrepreneur. He pioneered in Electronic Design Automation with digital VLSI automation at the IMEC research laboratory. He co-founded Easics and served as its General Manager and Engineering Manager until 2004. He is currently a member of the Easics Board of Directors and is the senior design expert. Jan is a linux advocate and shows his heart for education serving as a board member at a primary school in Heverlee, Belgium. Xilinx uniquely enables applications that are both software defined and hardware optimized. These industry-leading devices are coupled with a next-generation design environment and IP to serve a broad range of customer needs. Sigasi is a proud member of the Xilinx Alliance Program. Sigasi is a proud partner of the Aldec Unite Program. 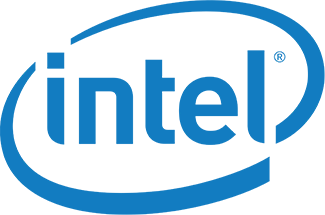 Intel Corporation (formerly Altera Corporation) is at the forefront of technology innovation, providing customers programmable solutions for leading-edge electronic systems that are shaping our modern world. Sigasi is a proud member of the Altera® Commitment to Cooperative Engineering Solutions (ACCESS) program. Eclipse is a community for individuals and organizations who wish to collaborate on commercially-friendly open source software. Originally created by IBM, now the Eclipse Foundation is an independent not-for-profit corporation. With its core technology built on the Eclipse platform. Sigasi is a proud Eclipse Foundation Member. The Electronic System Design Alliance, an international association of companies providing goods and services throughout the semiconductor design ecosystem, is a forum to address technical, marketing, economic and legislative issues affecting the entire industry. Sigasi is a proud member of the ESD Alliance.